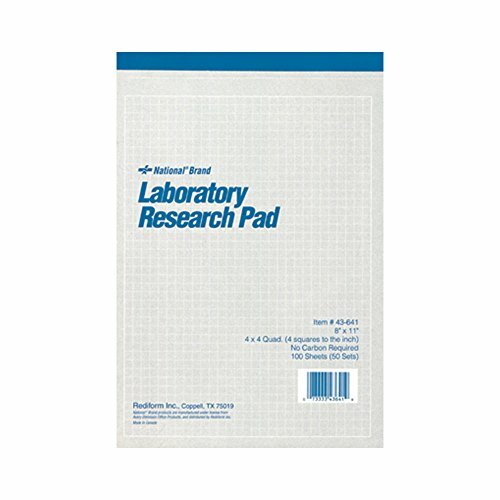 National Brand Laboratory Research Pad, 4 x 4 Quad, Gray, Carbonless, 11 x 8.5 inches, 50 Sets (43641) by National at LDP Graphic Design. MPN: 43641. Hurry! Limited time offer. Offer valid only while supplies last. Pink Ribbon steno notebook. Top-bound with pink lizard printed cover adorned with pink ribbon symbol. 60 sheets. Gregg ruled with center line. Pink Ribbon steno notebook. Top-bound with pink lizard printed cover adorned with pink ribbon symbol. 60 sheets. Gregg ruled with center line. Rediform, Inc. will donate 10% of net proceeds from total sales to the National Breast Cancer Foundation.